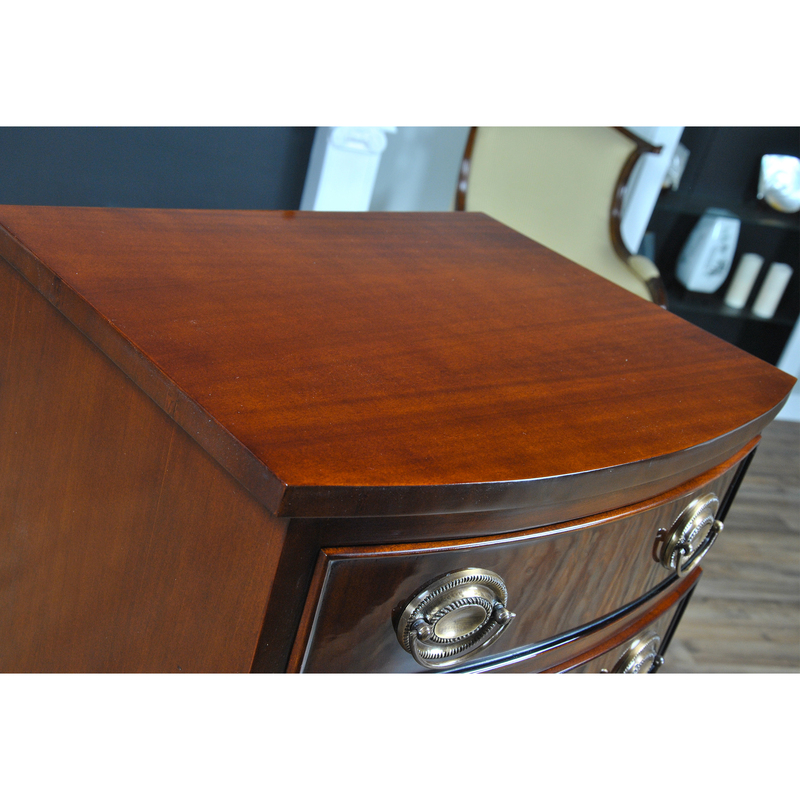 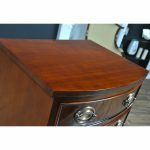 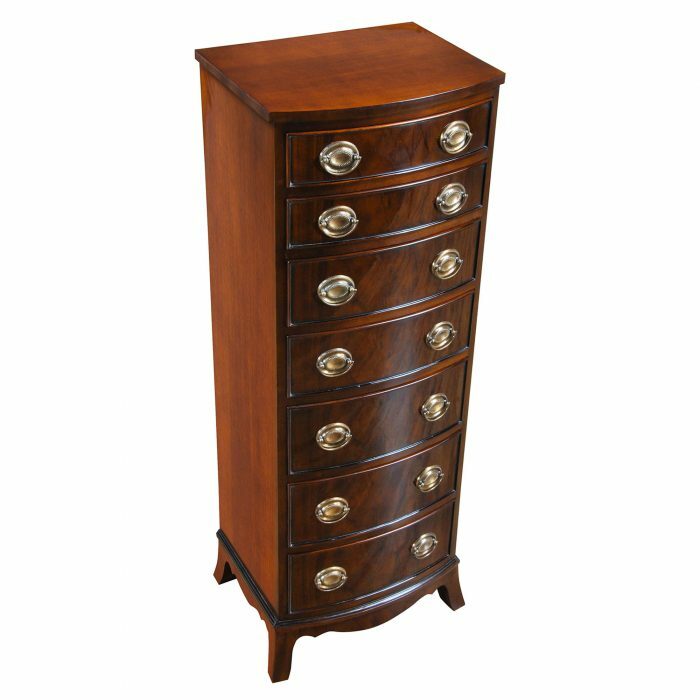 A fine quality Mahogany Bow Front High Chest with storage for all of your folded clothing articles. 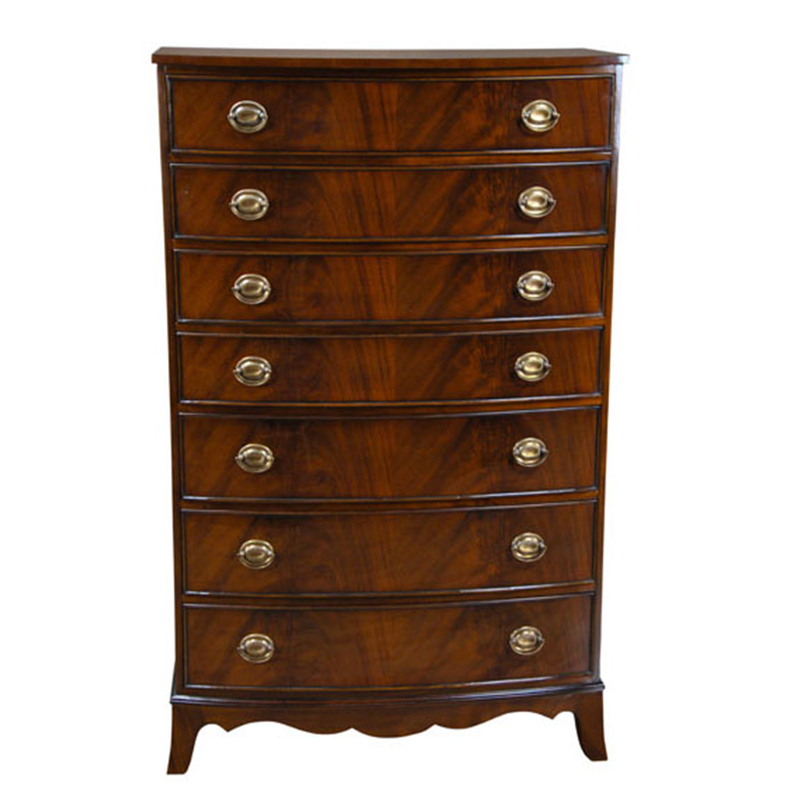 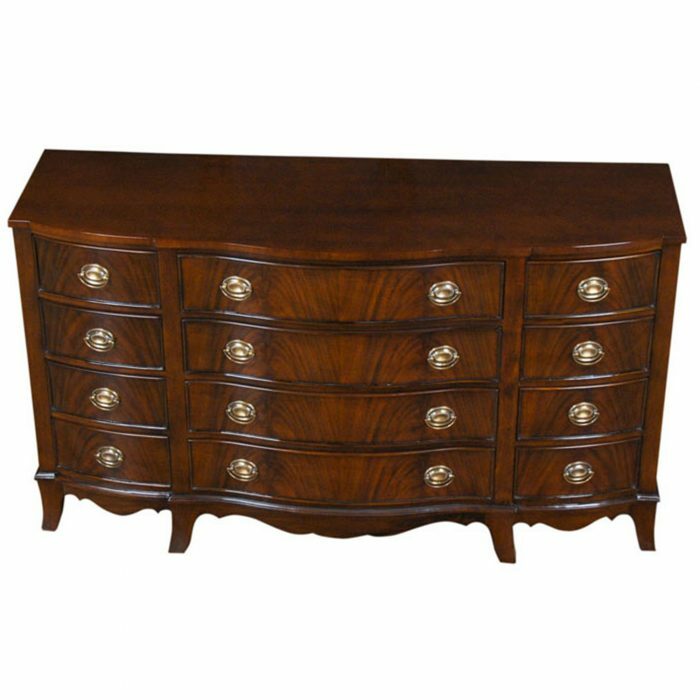 Elegant bow fronted design with graduated drawers and the finest hand selected mahogany veneers come together in this piece to create a piece of furniture of classic design. 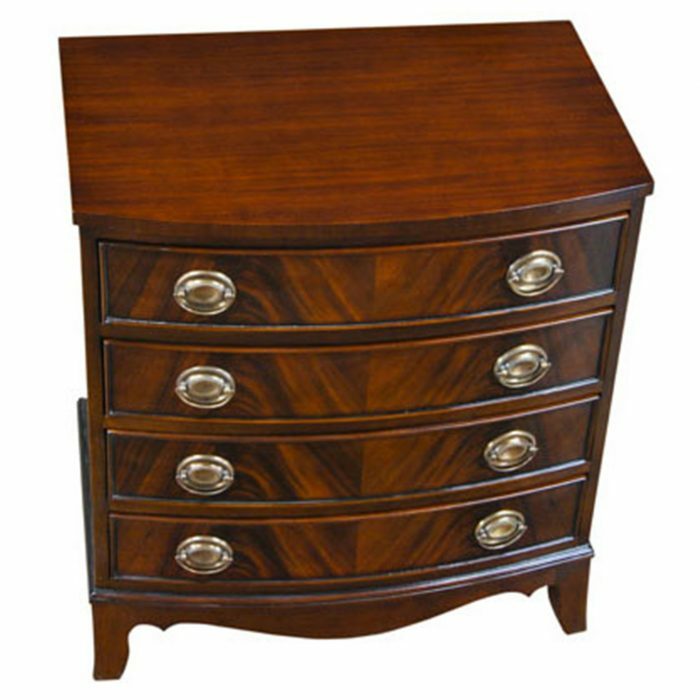 Beautifully finished the chest also has great structural integrity as evidenced by the drawers which are made with dovetail construction. 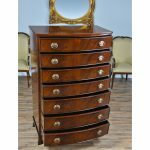 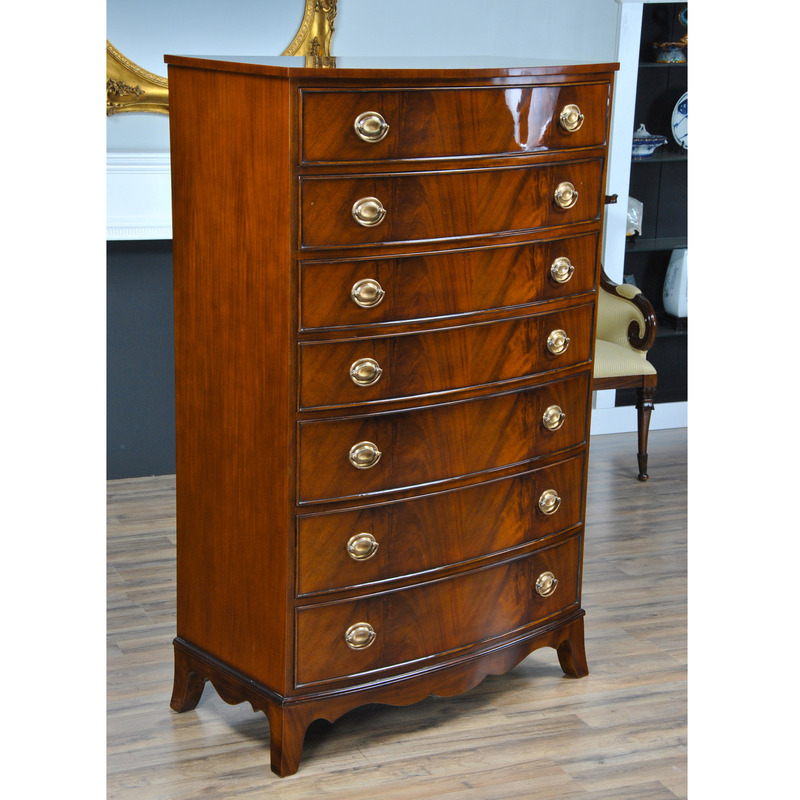 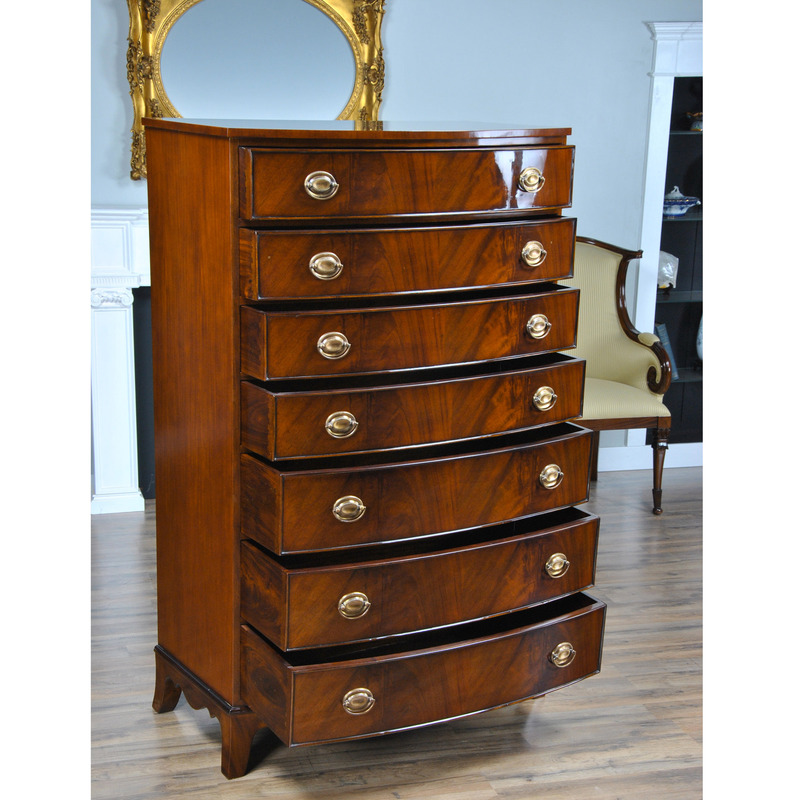 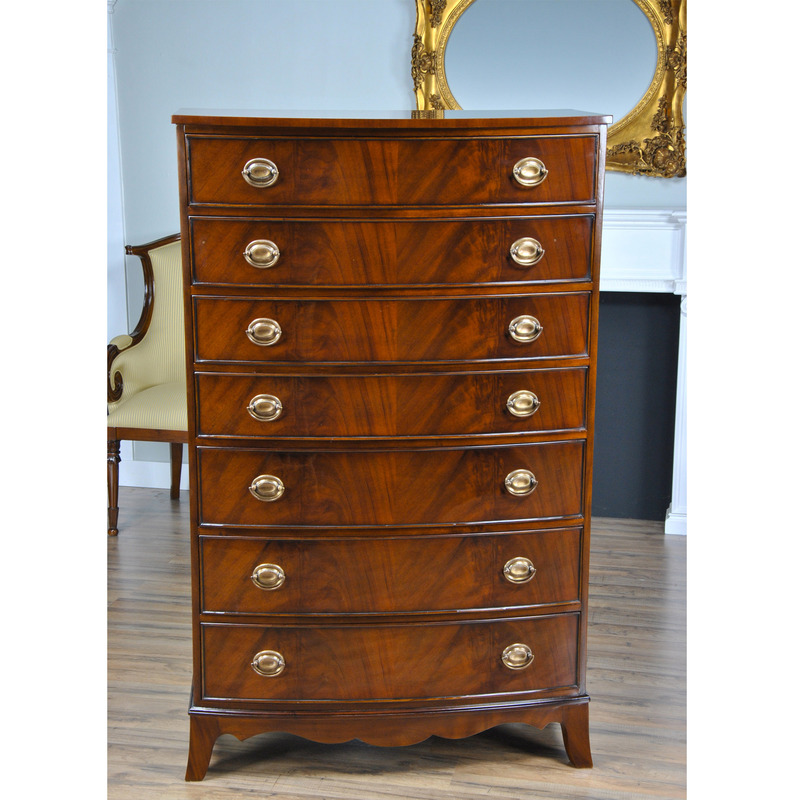 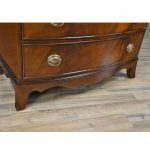 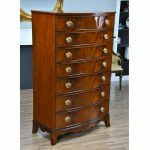 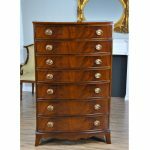 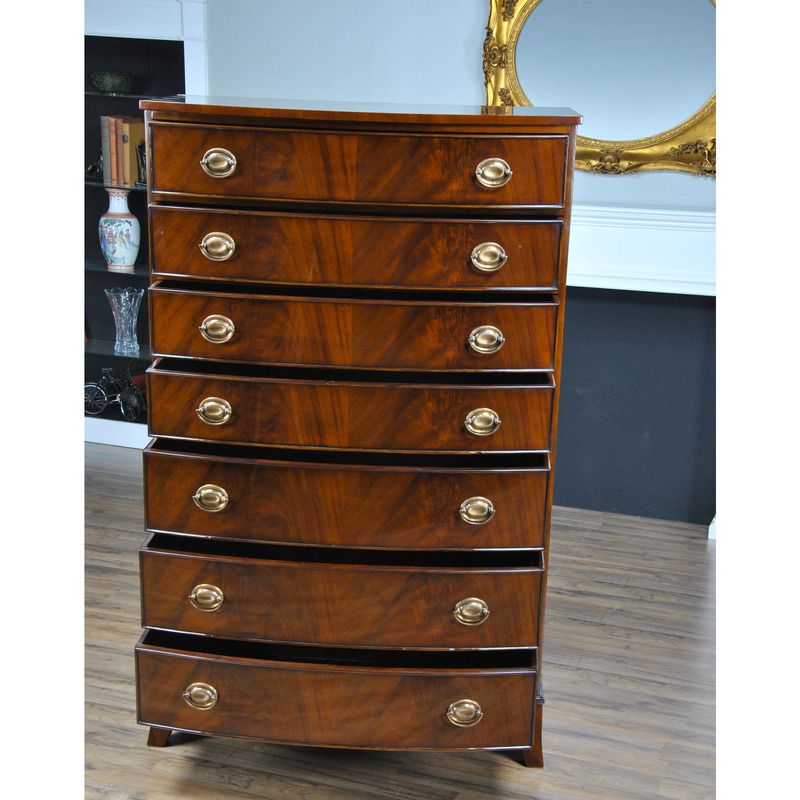 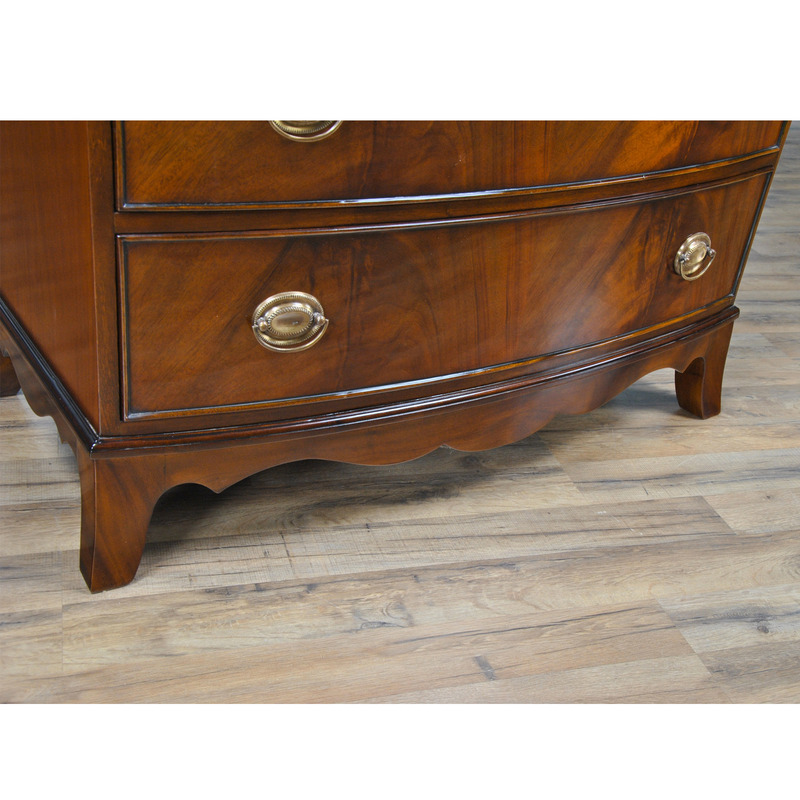 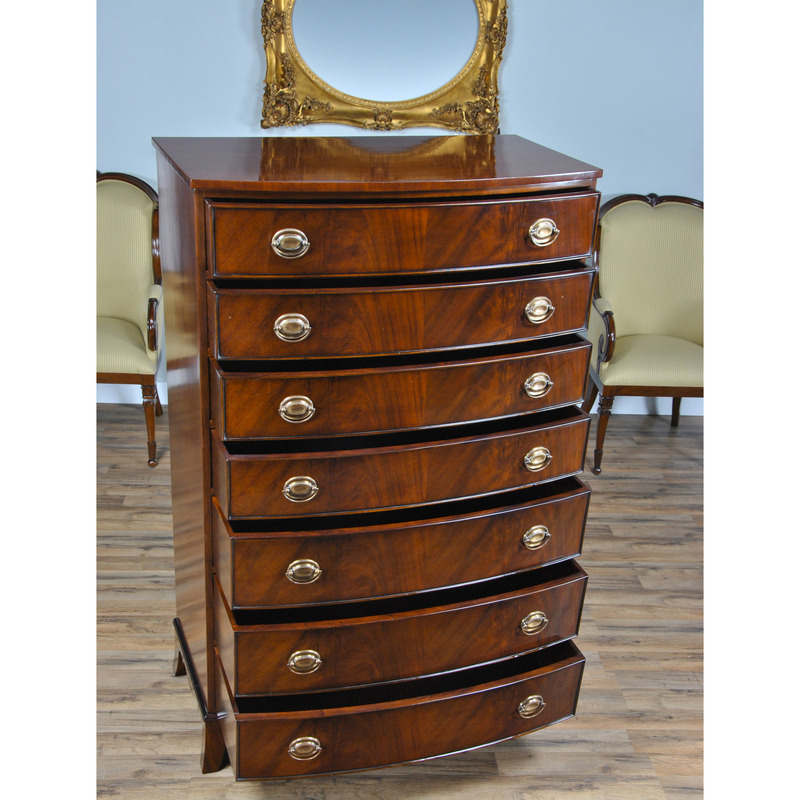 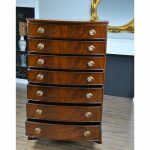 A lot of storage space available using a small amount of floor space makes this great quality Mahogany Bow Front High Chest both functional as well as beautiful. 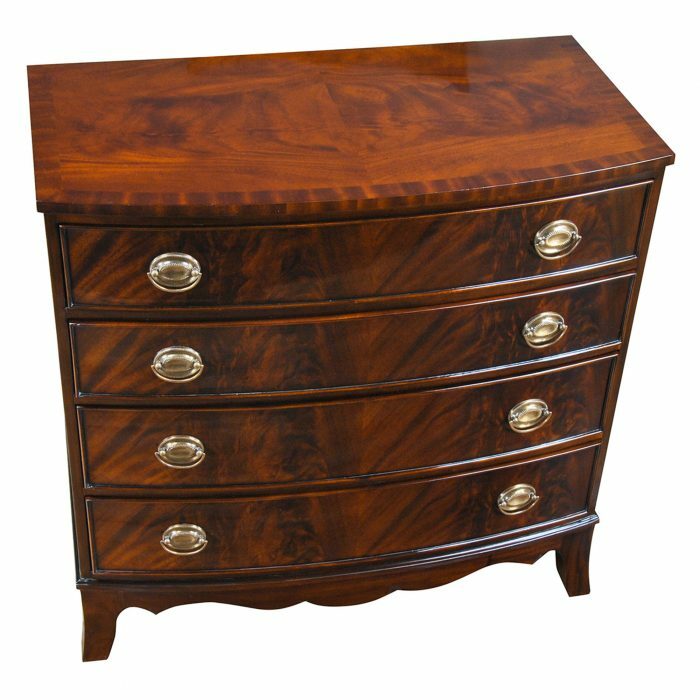 Ideal for use in the bedroom but also suitable in other room settings throughout your home. 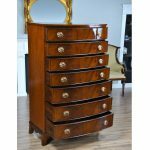 The listed price of this item includes free curbside shipping (freight shipping) for most addresses in the continental USA. 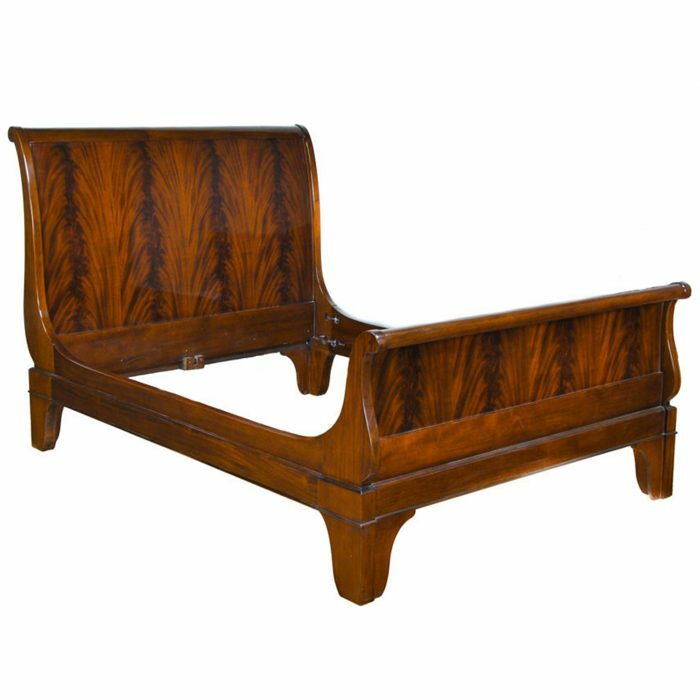 For more information regarding shipping and to see if you qualify for free shipping please see the “How We Ship” section of this site under the “About” tab on our home page. 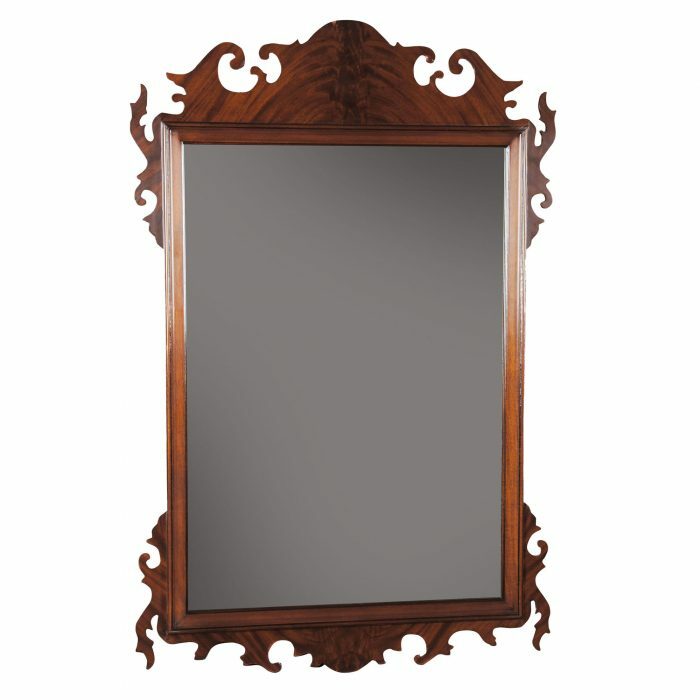 If you would like your item delivered and installed by a white glove service please contact us to request a quote when ordering.